You need a strategy to help you stay focused on your most important work. The challenge is not just to manage your schedule, but to focus on what you are called to do. The more your energy and efforts are aligned with the work you are passionate about, the more you will flourish as a physician, scholar, scientist and leader. But as an academic physician, you know how hard it is to keep distractions and demands from crowding out the work and the people you care most about. Your patients require your attention of course, but so do your bosses, your colleagues, and your students. Your inbox overflows with compliance requirements and requests to complete surveys, write letters, interview applicants, and attend meetings. Nagging conflicts sap energy. You want to be responsive and helpful, but you find that your time and effort is increasingly not your own. You may even find yourself wondering if a career in academic medicine is worth the effort. 1. The demands of work and home leave you feeling you will never catch up. The promised freedom to focus on your scholarship never seems to materialize. The pressure for funding remains even as margins narrow and sources of financing dry up. The time you spend completing administrative tasks and chasing grants limits the time you spend on the work you care most about. Even when you are seeing patients, you feel like you are on a treadmill. 2. Success leads to requests. You field an ever growing number of requests to collaborate on projects, fill leadership roles, sit on committees, give talks, write letters, review papers, and more. As you started your career, it was important to say yes to opportunities; now you need to practice saying “no” if you are going to be able to say “yes” to what you care about most. 3. Communication challenges bring stress and conflict. In relationships with others, you find yourself reacting and coping rather than choosing and leading. Your team members don’t seem to be reaching their potential. Managing others increases rather than decreases your workload. Rekindle joy in your work by connecting with your calling and aligning your daily activities with what you most value. Maintain balance and energy by saying no to many good requests and opportunities in order to say yes to the ones that address your and others’ most important needs. Develop a thriving team by bringing out the best in others so that everyone on your team is working to their potential in alignment with a shared vision. 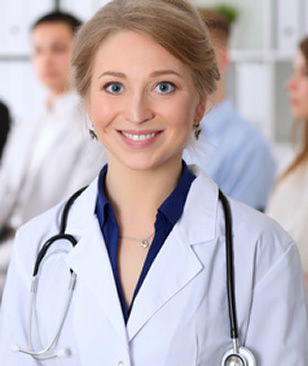 Coaching for Physician Leadership, Vitality and Resilience is a personal coaching program tailored to the specific needs of academic physicians growing into positions of increasing responsibility, leadership and influence. Coaching gives you the tools and practices you need to align your daily choices and activities with what you most value. Tools and practices that keep you motivated and energized. The Physician Vitality and Resilience Program gets you and your team connected to a vision you share for addressing meaningful needs and accomplishing your most important goals. It’s fully tailored to your situation and your needs. It includes coaching, goal setting, organizational training, troubleshooting conflicts, and other practices to help you reimagine and reengage the work you are called to do. There are many books and consultants out there who can help you manage your schedule and work on efficiency and effectiveness in your tasks. What makes us any different? Here are some of our core commitments, which are reflected in the way we work with physician clients. First, doing is not the same as choosing. Many tools help you do more in less time. Yet, physicians like you are already doing more with less and responding to a host of pressures and demands. We focus on helping you to move from reacting and keeping up to choosing and staying aligned with the calling that led you into this work in the first place. Second, your answers are better than anyone else’s. There are experts for hire who can offer you answers, but those answers may not fit your situation and your calling. As a coach, we focus on asking you the questions that make it possible for you to discern your own answers. Third, answers are only helpful if you can put them into practice over the long term. Rather than merely giving you concepts and ideas, we introduce you to basic daily practices that build your capacity to navigate any challenges that come your way. This is not therapy or counseling; rather, it is like coaching for already elite athletes to help them compete at the highest levels. Finally, being a leader in academic medicine can be a lonely business. So the program is more than a set of processes, practices, and plans; it also gives you the chance to have confidential conversations, and to get the support, challenge, and feedback you need. 1. The habit of basic practices that help you stay aligned with what you are called to do. Only you can do the work you are called to do. Staying aligned with that work means overcoming all kinds of busyness, distractions, and obstacles. In the program we will introduce you to and help you master simple but powerful practices that help you get connected and aligned now and confidently face tomorrow’s challenges. 2. A framework for identifying your own and others’ real needs, and finding strategies to meet those needs. For academic physicians, it seems there is always a need for more time, space, funding, and help, not to mention rest. In the face of apparent scarcity, academic physicians tend to choose strategies for managing and protecting. That leads to fatigue and conflict. In contrast, coaching will teach you to identify the real needs “your own and others” that are at stake in different choices. It will give you new lenses through which to approach a problem and confidence that you can find and choose strategies that hold all of the needs and invite yourself and others to act out of freedom and abundance. 3. Renewed and productive relationships with your team. There will be enhanced clarity when all members on the team understand and agree upon priorities. You will learn to change demands into requests enabling you to connect to others as you jointly pursue the things that matter most. 4. An aligned and inspired team. If you can connect with people’s deeper motivations, you can release a huge amount of untapped potential. But typically, everyone only takes part of themselves to work. Unsure of how they fit, they do what is needed to get by. Leaders find themselves filling in for others’ deficiencies rather than holding the vision and helping others pursue it. I give you tools and practices that you can use to encourage everyone to become accountable and to help them become more fully engaged. You have dedicated time to concentrate on what really matters. Coaching sessions are planned and expectations clarified so that you and we are aligned and focused on what is most important to you. In order to adapt to your needs and circumstances, we start every session with what you would like to focus on that day. You know where you are and how you’re doing. We use simple practices of reflection and journaling so that you have clarity about the goals you are working towards and measure and track your progress in bringing them about. You and your team are clear about who’s accountable for what and when. You will learn to set action plans and make specific requests (rather than veiled demands) that effectively delegate responsibility and help team members work to their potential. Our clients report they find the joy of their work returning to them, because they are making choices that align their energy and activity with what they care most about. They find themselves coming alive again. There are three overlapping stages, lasting for a year or more: It’s a process that is tailored to your present situation, challenges and goals. Stage 1. Discover and Dream. First, we explore your dream of your best possible future, and then take stock of your current reality and its roadblocks, fears, self-doubts and discomforts. Together we design a road map to get you from where you are to where you want to be in the future. Stage 2. Develop skills and practices, and deliver results. Customized to your situation and goals, we will implement a set of tools, skills, and practices and make steady and measured movement toward your goals. At this stage you will experience small shifts that stimulate big results. Stage 3. Track changes and grow in new directions. Through scheduled, weekly, 60-minute coaching sessions, we will discuss leadership challenges, identify blind spots, fine tune your skills, and strategize your next choices. These conversations can be held via phone or Skype. We will provide extensive support throughout the program through additional phone calls, emails, and by sharing concise and accessible materials that are fitted to your situation. This third stage is all about accountability, delivery and overcoming blocks. Together we will track your progress and celebrate achievements big and small. A Holistic Approach – Modern life tends to divide the personal from the professional, but coaching recognizes there is only one you. We aim to empower you with the support and tools you need to flourish both at work and home. Transformative Leadership – Limitless information about leadership is available at the click of a mouse, yet you still are not experiencing the outcomes you long for. So rather than give you more information, We will help you to let go of what keeps you from being powerful, confident, and effective with the knowledge you already have. This approach results in breakthroughs that dramatically improve the quality of your moment-to-moment choices. Personalized Attention and Attunement – You will develop skills that are most meaningful, applicable and fitting for you in your specific situation. You will get immediate feedback that allows you to refine your thoughts, words and actions in real time. As you make new choices, you will experience growing confidence, clarity and courage to make a difference in your context. Is Coaching for Physician Leadership, Vitality and Resilience right for you? This program is designed for busy clinicians and scholars. It best serves successful academic physicians who must balance competing demands as they grow into positions of increasing responsibility, leadership, and influence.It doesn’t matter so much which competing demands you are balancing. Some clients are section chiefs and department chairs. Others are researchers transitioning from early to midcareer. Still others are physicians in leadership roles who want to grow to be more effective at communicating and resolving conflict. Making the most of your situation. Coaching for Physician Vitality and Resiliencehelps you cultivateyour internal resources to make the most of the opportunities available to you. The coaching experience has empowered physicians to become change agents whether or not they hold positions of institutional power. A life optimization opportunity. My clients report higher levels of peace, energy, and meaning, as well as deeper and more collaborative relationships at work and at home. Knowing how to manage stress and conflict, streamline tasks, staying in a positive and constructive way, will help you live with greater freedom and recover your enthusiasm for your calling as a physician. I invite you to try a complimentary Physician Vitality and Resilience Discovery Session. This is a no-obligation way to find out more about this practice of coaching and how it can help you recover a close alignment between what you really value and what you do every day. In this 60-minute session, conducted by phone or Skype, we’ll explore your desires for your future as well as your current situation and roadblocks. We will consider together a practical action plan to help you achieve your desired future. Call or contact us today to schedule your Coaching for Physician Vitality and Resilience Discovery Session. We look forward to our conversation. I invite you to contact me here.